Really, does this look like the face of a tough-as-nails critic? And now, HouStoned presents our newest critic named Lomax, and it ain't John Nova. Be sure to send him some love in the Comments section. I've heard it said and read on various message boards that I am a pretty tough critic. I've never really thought that was true — I just write what I think. And at any rate, it looks like I might not even be the toughest critic in my own house. Argument 1: Here are the problems with today's little kid shows. Bob The Builder is a retarded name for a TV show, I mean couldn't they come up with a better name for a show about a guy who has talking vehicles? And another thing -- why do the people (and vehicles) have to have such damn annoying voices? And why couldn't they keep the British voices, like what's wrong with a British accent, do they think kids won't like a British accent? I sure would. Plus how come they can't come up with a more creative name than "Bob" or "Wendy?" I mean do these people have any creativity at all? Here is a show that is just plain weird -- Teletubbies. It has a freaking vacuum cleaner that that has eyes! When I was a little kid that vacuum really scared me, what do those people think when they make these sort of shows? Now South Park is a show I can handle with its intense explosions and blood and gore ah yes. So what's the problem with today's little kid shows? THEY'RE TOO DAMN WEIRD!!! Argument 2: Here are the problems with atheists. Atheists are all ways going on about how they know everything, and they all ways make fun of your religion. I mean wake up and see the light! Who do you think made life when there was nothing? Do you think it was all just a lucky shot come on just....just........wake up! Come on what other explanation is there it does not all come down to science — that's pretty much just a excuse to not knowing everything like how the universe started and why we're here. Its like being a goth talking about things you don't know and acting like you do. All the people I know who are atheists are total jerks who act like they know everything when they really don't. And that's the problems with the modern atheist. Argument 3: Here are today's problems with video games. Have you noticed that there are not any video games where you can do whatever you want and just have fun shooting, slicing or beating the crap out of people? There are no games like that, none at all, I mean why can't we just have fun? And if you can't just do that then why don't they just put in a lot of cheats? For example Mortal Kombat -- you have to wait forever to unlock all the characters. But they got better in Mortal Kombat Armageddon -- you only had to unlock 4 characters. Another thing, why do they have to have so much vile blood and gore? 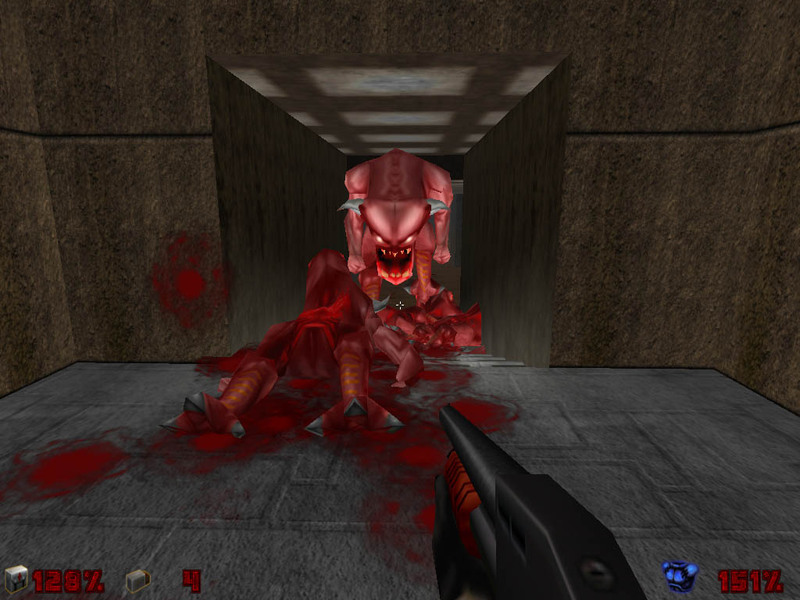 I mean why can't you shoot someone and a normal amount of blood come out instead of a guy get all his limbs gnawed off by a giant monster like in Doom? So there you have it, all the problems of today's video games. Not even Bob the Builder is safe from John Jr.'s wrath. He says he's going to write three of these every day...And so there you have it — there's the problem with being a critic. Your kids start to out-complain you before they even get to junior high.